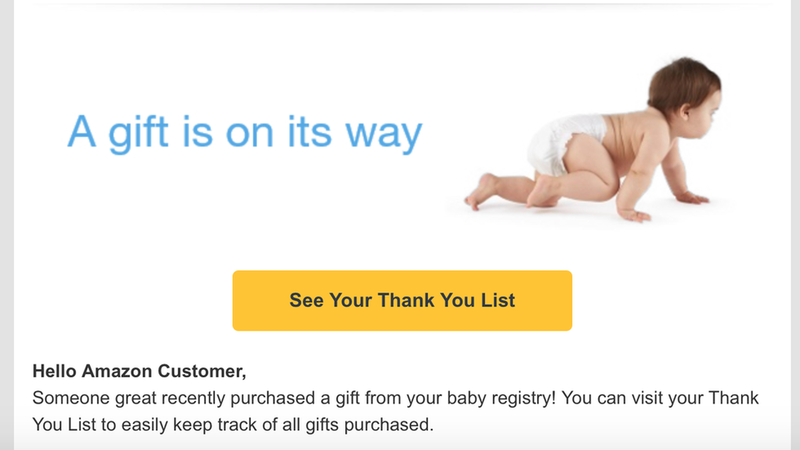 An apparent glitch Tuesday had Amazon notifying tons of users, including some at Axios, that someone had purchased something from their baby registry (regardless of whether they, in fact, have a baby). "A gift is on its way," exclaimed the e-mail. "Someone great recently purchased a gift from your baby registry! You can visit your Thank You List to easily keep track of all gifts purchased."